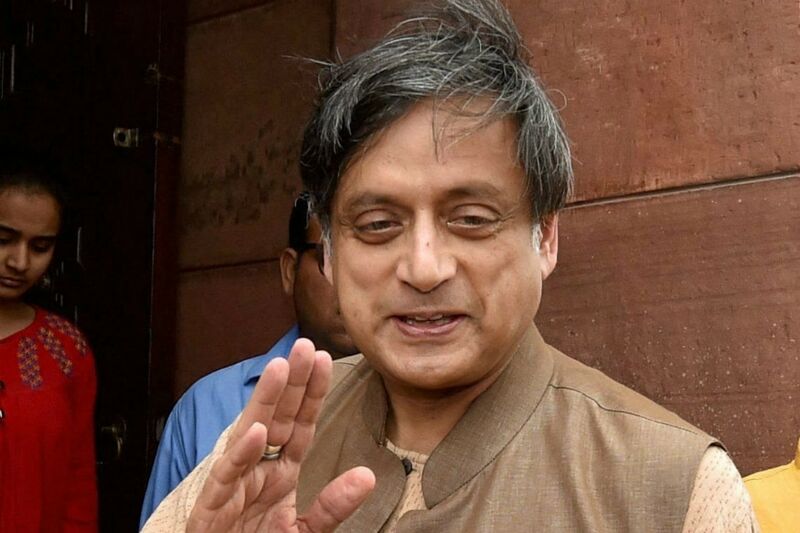 Thiruvananthapuramlok-sabha-elections-2019: The district BJP unit here, has filed a complaint against Congress candidate for Lok Sabha elections Shashi Tharoor for allegedly putting up a poster which has the cover picture of his books including ‘Why I am a Hindu’. The poster showcases Tharoor as ‘Pride of Thiruvananthapuram’. Tharoor also claimed that the particular poster does not seek votes. He added that since he is a candidate now, his official posters would come over them and the earlier poster will be deleted. He tried to downplay the issue by saying said that these are non-issues and no one should be wasting their time on them. “Everyone knows which party appeals to voters on communal lines and I am not from that party. It is like a pot calling a kettle black," said Tharoor while taking potshots at BJP. Two days back, Tharoor in a similar line, tweeted a BJP poster of former governor Kummanam Rajashekaran, most likely the saffron party’s candidate from Thiruvananthapuram which featured a picture of Padmanabha Swamy temple. “The BJP campaign has begun in Thiruvananthapuram by blithely ignoring Election Commission rules not to use places of worship in posters! This is 150 metres away from Padmanabhaswamy temple, which is shown behind their candidate. But without religious appeals what can BJP offer?” the tweet read. Rejecting Tharoor’s charge, Suresh said that the posters were put up before the model code of conduct came in place.